The Pinkathon SF’s charity is the Breast Cancer Research Foundation (BCRF). BCRF is the highest-rated Breast Cancer Charity in the USA, according to CharityNavigator.org. This year, our Pinkathon San Francisco Fundraising goal is $25,000. Please help us reach our goal! Healthy, athletic people with NO family history can and do get Breast Cancer. 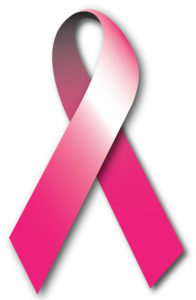 The Breast Cancer Research Foundation (BCRF) is the top-rated Breast Cancer charity in the USA. According to Charity Navigator.org, 90.9% of BCRF’s budget goes directly to support Breast Cancer research programs. For the Susan G. Komen Foundation, the figure is 81.47%. For the Breast Cancer Fund, the figure is 76.8%. For the Avon Foundation, the figure is 76.1%. To see why BCRF is tops in the rankings, go to CharityNavigator.org. In the “notes” section of your check, write BOTH “Pinkathon SF 2016” and the name of the Participant who contacted you (if any). That way, we’ll know which donations came in as a result of which person’s efforts. You can send your checks to the person who contacted you OR directly to BCRF at: The Breast Cancer Research Foundation, 60 East 56th Street, 8th Floor, New York, NY 10022. If possible, please try to make your donations BEFORE the Pinkathon SF event on October 21, 2017. 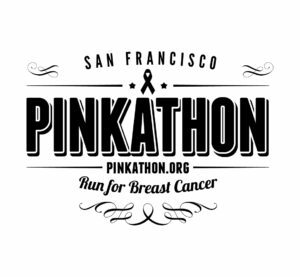 However, we WILL accept checks when you check-in to the Pinkathon SF at the Ferry Building on 10/21/17. The Pinkathon San Francisco will accept Cash Donations on the day of the event, but your cash donations will NOT be tax-deductible. We strongly encourage you to donate online or by check made out to “BCRF” if you want your donation to be tax-deductible. Become a Pinkathon SF Team Fundraiser! You can also become a MEMBER of our Fundraising TEAM for the Pinkathon San Francisco and create your own individual Fundraising Page and collect even more donations for the cause. We’ve created step-by-step directions for how to create YOUR OWN Pinkathon BCRF Fundraising Page at http://pinkathon.org/create-fundraising-page/.